MM 2/c Warren G. Wand, son of Mr. and Mrs. W. Wand, entered Navy in Oct., 1943, trained in Camp Peary, Va. and Port Hueneme, Cal. 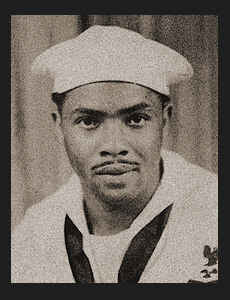 ; served in the Hawaiians, Iow Jima and Okinawa where he is now on duty. Awarded Bronze Star, Good Conduct Medal.